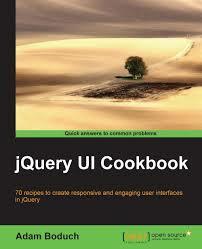 I mentioned the jQuery UI 1.6 release last week as it was available for download. Now the full changelog and blog post are out. Next up is 1.7.2. We made some progress on that during the sprint. A few more issues to wrap up, and that should be out this week. Speaking of the sprint, thanks to all that participated. With 1.6 finalized and 1.7 nearing a freeze, the jQuery UI team is shifting focus to 1.8 and beyond. With the recent plugin prioritization, we updated the planned plugins list on the Dev & Planning wiki home. Our focus is currently on the high priority plugins. Please take a look at those plugin pages and see if we’ve missed anything. If you have ideas about each plugin’s requirements, design, or specifications, feel free to edit the page, or leave a comment. If you’ve don’t have a wiki account, there’s a link at the top to request access. We’d love your input. J&P Cycles – Keeping the World on Two Wheels!! Smashing Magazine, Sam Swyer: Progressive Enhancement: What It Is, And How To Use It? As always, be sure to follow This Week in jQuery on the jQuery blog. The 1.6 release was finalized last night, and is available for download on jqueryui.com. The blog post will go out as soon as the changelog is finished and Google’s CDN is updated. Reminder: this is a legacy compatibility release for anyone still needing to use jQuery UI with jQuery 1.2.6, and will not be further developed. It is highly recommended you upgrade to 1.7 as soon as possible. The jQuery UI Sprint is happening right now. Come join us! See the sprint wiki page for full info. If you liked This Week in jQuery UI, you’ll love This Week in jQuery. You’re invited to sign up there if you plan to join, even if just for an hour. Also, there will be a full sprint blog post on Monday with more details. Rig-Bits – Find bits for your computer and PC Bits Database (under development). Stay tuned for tonight’s installment of ‘This Week in jQuery’ over on the jQuery blog. No releases this week. The 1.7.2 release was rescheduled for Apr. 15. The jQuery UI Team completed a prioritization this week. This is the second time we’ve completed this process. The first was in late 2008, when we changed the direction of the 1.6 and 1.7 releases, and focused on ThemeRoller v2 and the jQuery UI CSS Framework. The Development & Planning wiki home page has been updated with the priority column for each plugin. We welcome any help in getting these plugins designed and built over the next couple of months. Note that this priority is not tied directly to our release cycle. This means the 1.8 release will not necessarily contain the plugins that currently have the highest priority. But it gives us as a team some focus and sequencing. For example, there are a number of high priority utility plugins right now that we’re tackling first because they’re dependencies of a number of medium priority widgets. So we need to design and build them first. We’re planning a sprint for next Thu.-Sat. (Apr. 9-11). It will all be online, and anyone is welcome to participate as little or as much as they’re able. More details to come next week. The first issue of JsMag included an article on jQuery 1.3, and was featured in the first volume of This Week in jQuery. 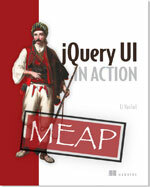 The second issue was published this week and includes an article on jQuery UI. Be sure to check out This Week in jQuery. Welcome back to This Week in jQuery UI. Things were looking good for getting 1.6 final out this week, but we’ve still got one issue with the Resizable plugin. Big thanks to Scott González and Nick Levett for working on this. We’re about half-way there. In the meantime, you can beat up 1.6rc2.6. This includes the resizable fixes Scott was able to merge. It improves things, but we still want to fix it the rest of the way. Here’s the lone ticket: #4334 – Real World Image Cropper demo is broken. kolko.bg – The only reliable Bulgarian Internet shopping assistant. We did a jQuery UI sprint a year ago last week, and it rocked. So we’re thinking of doing another. Would you be interested? If so, how would you like to contribute? Tests, code fixes, documentation, demos, tutorials, answering questions, anything? Let us know. That’s it for this week. Stay tuned for tonight’s installment of ‘This Week in jQuery’ over on the jQuery blog. The first maintenance release for 1.7 came this week: jQuery UI 1.7.1. Here’s the changelog. We’ve made some much-needed updates to the download builder. We’re hopeful this will fix the problems some people were having with certain browser and OS configurations. If you still have any issues, be sure to file them in the bug tracker (note: requires registration). The latest legacy preview release has been out just over a week and has only two issues (so far) filed against it. Things are looking good for being able to release 1.6 final on March 25th. jQuery UI ThemeRoller was a finalist for an SXSWi Web Award this week. Here’s the coverage from Wired: http://blog.wired.com/underwire/2009/03/sxsw-2009-web-a.html. Congrats and thanks to Filament Group and everyone else on the jQuery UI Team that has contributed to ThemeRoller. ManagingMeals.com – Discover recipes, plan meals, create grocery lists. Welcome to Redeemer – A young church dedicated to serving the city of Lincoln, Nebraska by living out the Gospel of Jesus Christ. trirand.com: The fabulous jqGrid plugin added support this week for jQuery UI Theming, making it ThemeRoller-ready. This is not yet in a final release, but can be seen in the 3.5 alpha. Great job, Tony. Remember, ThemeRoller and the jQuery UI CSS Framework aren’t just for jQuery UI plugins. So if you have a plugin, what about making it ThemeRoller-ready? Or if you have a favorite plugin that you’d like to see ThemeRoller-ready, send a donation (or at the very least a thank you note) to the plugin maintainer, and encourage them to add support. We’d love to hear how we’re doing, and how we can do better. Leave a comment, talk to us on twitter, post something on the mailing list. Here are some links: Let’s chat. Thanks. This is the first in a weekly series on what’s happening with jQuery UI. It will be a digest of all activity in the community and on the team. Hoy es mi día. Me siento como si fuera mi cumpleaños y me estuvieran regalando el juego que llevo esperando tres meses. Today is my day. I feel like it was my birthday and I were giving away the game I been waiting three months. This release has only been out two days, but so far there have been zero comments on it, on the blog post announcement and on the mailing lists. Also, no bugs last I checked. Has anyone tried it out? The plan is to release the final on March 25. If no error reports come in, 1.6rc2.5 will become 1.6 final. If that matters to you, please help kick it around and be sure to file a bug report with the version specified as ‘1.6rc2.5’. Thanks. With the release of jQuery UI 1.7 just out the door, Paul Bakaus – creator of jQuery UI has kindly agreed to answer some questions about that launch, his life as a programmer, his involvement with the jQuery UI project and the world as he knows it. I am looking for a designer experienced with jQuery UI and CSS to help us design a nice reusable template that is sports related. I’m getting increasingly enthusiastic all the time with the jQuery UI framework – especially its well-structured and versatile CSS component. My emerging problem, however, seems to be one of designer acceptance. JQuery UI uses the -moz-border-radius CSS property to render its rounded corners in dialogs, controls and icons. This is a CSS3 standard and is supported in all upcoming browser versions… except Internet Explorer. We’ve had a lot of great activity this week on the jQuery UI Development & Planning wiki as well as on the jQuery UI Dev Google Group. We can always use more help, and we invite you to join us. Request access to the wiki, review a page, leave a comment. Let us know if you have a plugin you think might be a good fit for jQuery UI.